Social networking photo apps typically bring together people who know each other to view, comment on, and like each other’s creations, but some variations on the theme emphasize artistic collaboration among strangers. Looksee, from Quebec Drive, takes an altogether different and hybrid approach. The idea behind this app, which has been completely overhauled and upgraded for iOS 8, is that your vision — not your words or face or job or education — speaks for you, and facilitates communication on a totally anonymous visual plane. You’re not “friends” or “followers” in the Facebook, Twitter or Instagram sense, nor are you collaborators in the crowdsourcing sense. You simply like a photo, and if that photographer likes your photos too, then there’s a more open connection via the Facebook or Instagram IDs. 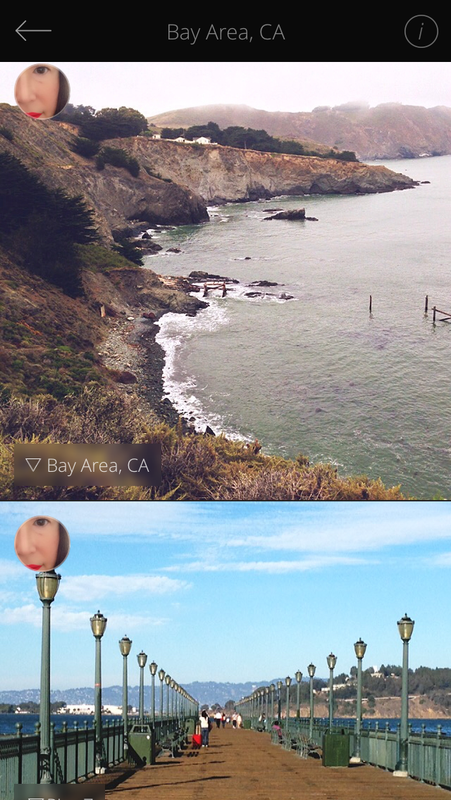 With Looksee, the photographer’s first and only identifying characteristic is location. So naturally, the first thing that happens when you launch the app is to authorize access to your location. The app then shows you photos that are taken nearby, but you can view photos taken anywhere in the world. Tapping on a location shows all the photos taken in the vicinity. Looksee hooks into Apple’s Map utility to pinpoint the location of photos that you like — complete with driving directions. Looksee does not always stay anonymous. As you observe photos, you can double-tap to like them. It makes sense that photos you like share a common vision with your own photos, and if that person likes one of your photos, then your identity will be revealed between the two of you. Looksee has you sign in either through Facebook or Instagram, but after you sign in, you can post photos from your Photos app as well. When you’ve chosen a photo to share, you choose its geotagged location and opt for a filter or not. These are gorgeous filters, so it’s no wonder that in-app purchases of filter packs are now available to augment the ones built into the app. Since I had connected Instagram and Facebook to Looksee, I was surprised that I was unable to share photos directly from those apps. You have to access your photos from those accounts directly from within the Looksee interface. 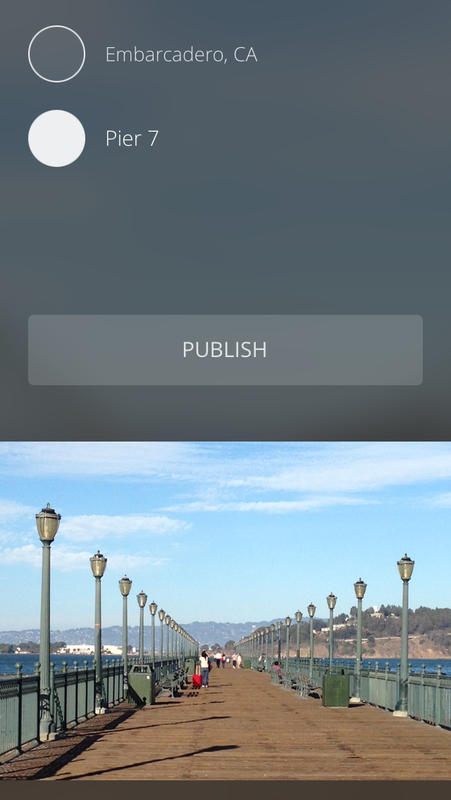 Indeed, all photos shared to Looksee must be selected from the Photos app, an album, or taken from the camera. If you’re fairly modest about your level of social networking, but like to explore and share without necessarily going public, Looksee is a good way to get started. I found Looksee’s compromise a satisfying one because you can be as low profile as you want without revealing too much to a large universe of strangers, but still form connections with photographers you admire. Looksee runs natively on both the iPhone and the iPad.